Hi there! 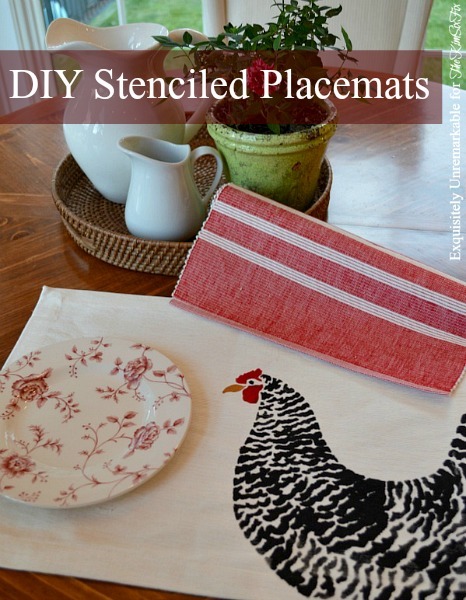 I'm Kim from Exquisitely Unremarkable and I'm so excited to be here today, sharing my super easy DIY stenciled placemats. 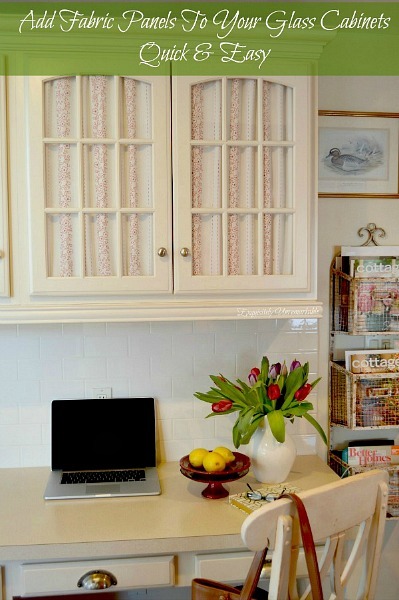 Paint and fabric can warm up and personalize any room, combining the two is even better! 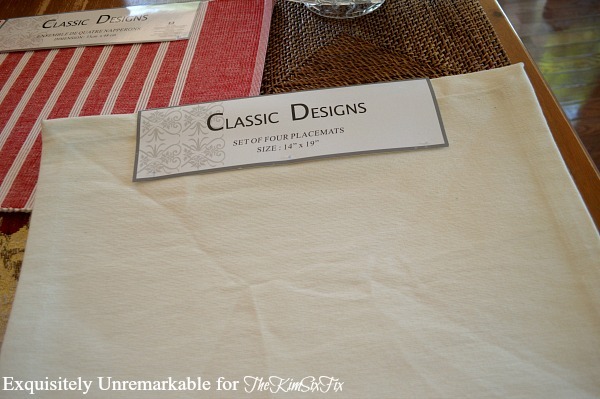 To start, I picked up a package of 100% cotton placemats from my local home decor store. I chose a neutral off white, but there were several colors, including a burlap, available. They were less than ten bucks. Bargain. They were a little wrinkled, so I did iron them before I started. The flatter the surface, the easier it is to paint. Next, I grabbed my stencil. 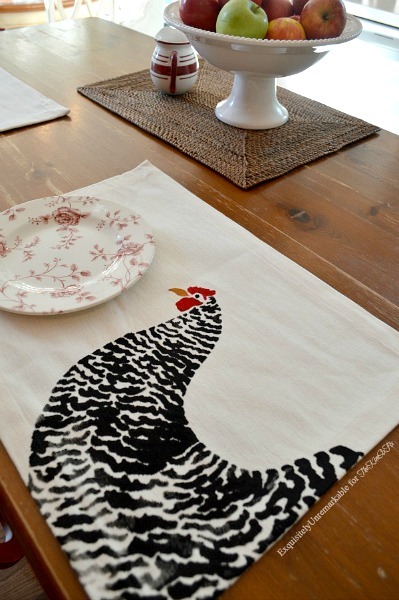 Now, I already had this stencil, I made pillows with it in the fall, but stencils are readily available in any craft store and sometimes at dollar stores. Find one that suits your style and grab fabric paint in the colors you'll need. 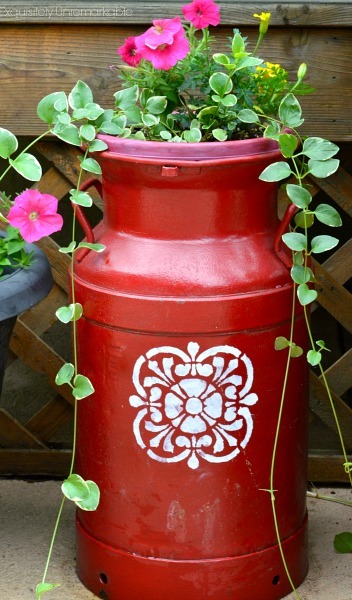 Stenciling is a super easy craft, it's a simple way to get a hand painted look. 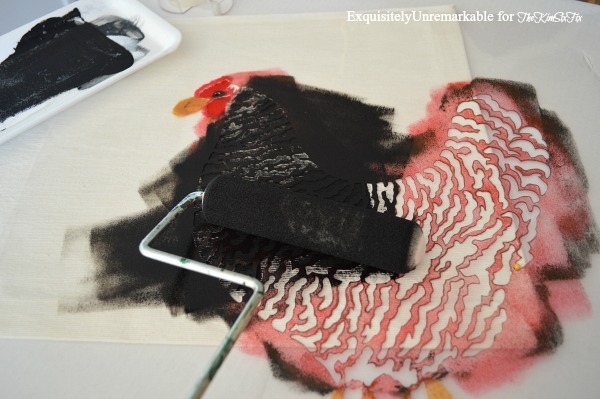 There are no true painting skills required, but if the stencil moves, you will end up with a mess. Preparation is extremely important. A little scotch or masking tape will secure it and keep it from moving. For interest, I decided to place my chicken off center. Since my stencil was very large, in addition to the tape, I used a straight pin to secure the corner. 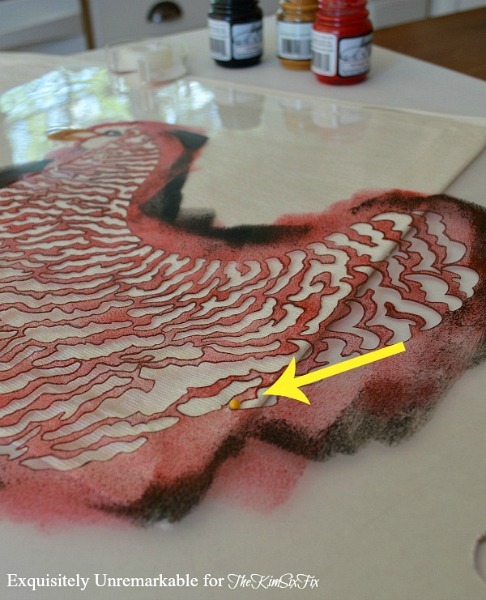 I started painting the small, detailed areas, with a brush. I dipped it in the paint, pounded off the excess on paper towel, and dabbed the brush over the stencil. I have found that for large areas, a small foam roller works best. 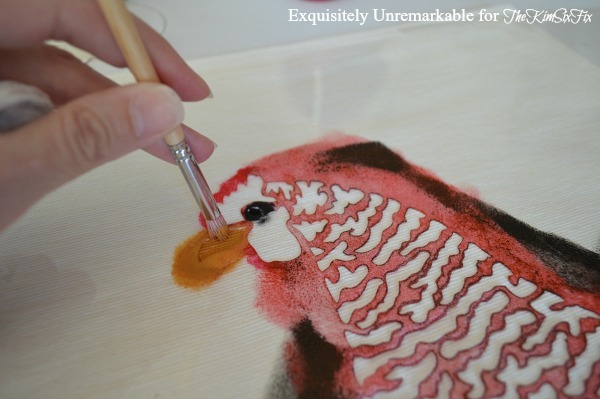 It applies the paint evenly and covers more surface area than a traditional foam brush. When the painting was done, I peeled the tape up, removed the stencil and let my placemat dry, while I repeated the process on the other blank mats. When they were dry, I went over them with a hot iron to set the paint. I have teenagers and no matter how many times I say, "just for show, people"...well, you know. So I wanted to be able to wash mine. If you would like to be able to launder yours, too, follow the instructions on your bottle, as each paint brand recommends a different method to ensure the paint holds up to soap and water. That's it! In less than thirty minutes, I created an inexpensive and elegant custom home decor accessory. Thanks for having me here today, Kim! 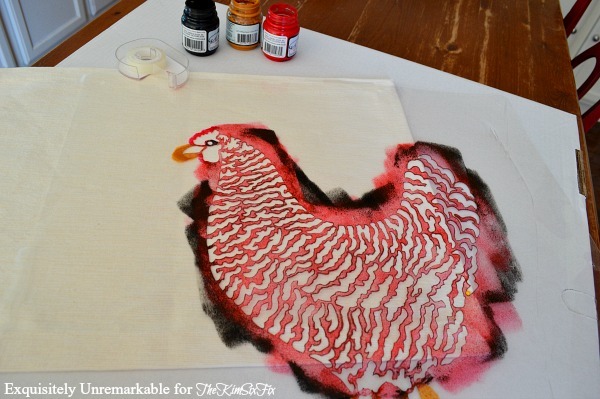 If you'd like to see more of my easy fabric and paint projects, you can check these out!